Usually, people look at spirituality or philosophy to answer this question. But I took a less traveled path- ‘Science’, to explore the question. The problem I posed to get to an answer was, “How can one move the boundaries placed on themselves by their genes, environment, mind, and luck to help them achieve their goals?" The first step in improving happiness is to identify and resolve one's weak personality traits like stress, depression, anger and anxiety. The second step is to work on improving one's relationships with the people that are important to them. The final step is to work towards a higher level of happiness by treating it as a distinct personality trait. 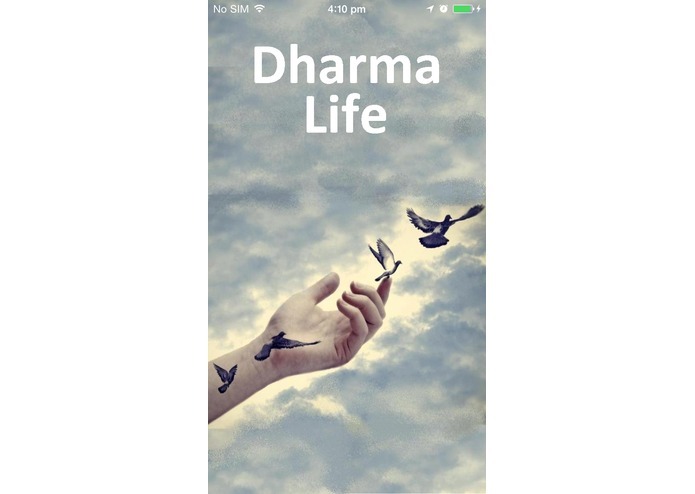 Dharma Life App is for anyone who wants to be happy and have a better life! To have a better life, one has to work on both their mind and body. And so, we have implemented both physical and mind actions. We target a large number of personality traits that a person can improve on. A scientifically supported scale showing the user's progress and regress on any personality trait. A unique three-step process to achieve happiness.